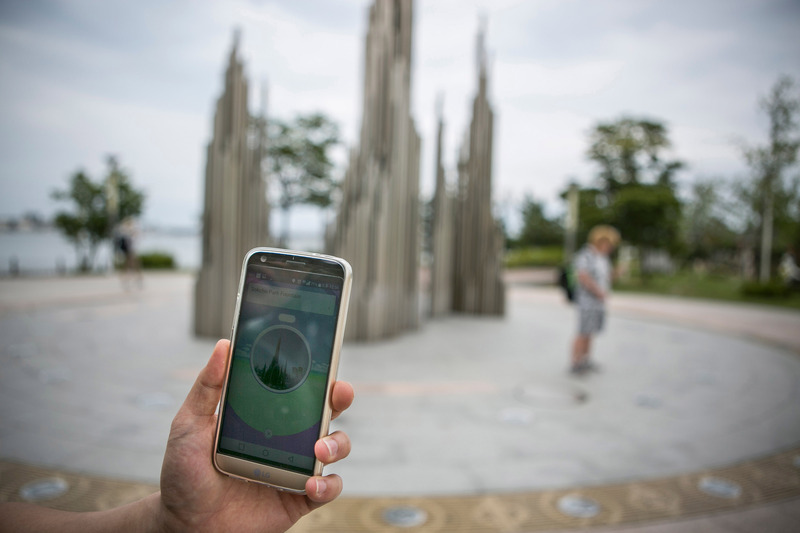 "Pokemon Go" has pretty much taken the world by storm, and it's no surprise surprise why: It's a fun way to get in touch with our inner '90s kids and embrace nostalgia in full force while still using the technology we've come to know and love. If you've given the augmented reality game enough tried to make it to level five, I'm willing to bet you've found yourself wondering: Can I change teams in "Pokemon Go"? The short answer, dear Pokemon trainer, is that as of right now, you cannot change your team after you've picked. So whatever team you declare your allegiance to once you reach level five, make sure it's what you really, really want — because unless you want to create a new profile and start all over again, you're stuck with it. Why would you want to change my team on "Pokemon Go" in the first place? It might depend on a few factors. To begin with, you have the option of choosing one of three teams once you've advanced far enough in the game: Team Instinct, Team Mystic, or Team Valor. So if, for example, you choose Team Instinct, you'll be able to train your Pokemon at Team Instinct gyms and battle your Pokemon at rival gyms. There don't appear to be major differences between the teams themselves in terms of how they impact your gameplay, but there are some personal preferences to consider when choosing your "Pokemon Go" team. If you're someone who likes to play "Pokemon Go" with your friends or significant other, you might want to choose the same team they're on. This may make it more fun to work together and coordinate your play so you're all fighting towards the same goal. On the flip side, if you like competition, you may enjoy battling with your friends or trying to capture each other's gyms. Either way, if you don't find out what teams your friends have picked until after you've chosen your own, it's understandable that swapping sides might be an attractive option. On a purely logistical level, you might also want to your "Pokemon Go" team based on how popular the team is in your physical area. For instance, if you look at the map on "Pokemon Go" and see that a certain team already dominates the gym in your area, you may find it easier to simply join the dominant team. On the other hand, you may find yourself wanting to seek out the underdog and scoping out the up-and-coming teams. Alas, though, for now, changing teams remains outside of reach. Although some people are speculating that a future update to the "Pokemon Go" app might make team changing possible, this hasn't been confirmed; it may, in fact, not come to pass. So until then, Pokemon masters, it looks like it's time to make the most of your "Pokemon Go" team decision as it currently stands. After all, it's all about the fun, right?